Before you buy the 2008 Land Rover Range Rover Sport, ask yourself if you really want to live with a machine that was originally bred to work off-road; you may decide that in light of other choices, you don't. There may not be a better way to pose on road or off than from behind the wheel of a 2008 Land Rover Range Rover Sport. Editors from TheCarConnection.com researched reviews of the 2008 Land Rover Range Rover Sport to bring you this conclusive profile. The editors of TheCarConnection.com also have driven the Range Rover Sport to bring you more driving impressions and details. This review also compares the 2008 Land Rover Range Rover Sport with other vehicles in its class to provide direction on the vehicle's strengths and weaknesses. The 2008 Land Rover Range Rover Sport cuts a mean profile with its chiseled shape and tall greenhouse (the windows). The shape recalls classic Range Rovers that came along well before the Sport's 2006 introduction, all with elegantly thin roof pillars and a purposeful presence that looked like it was ready to tackle forest trails or desert sands. Lately, however, most Land Rovers are apt to be found conquering the parking lots of upscale malls or cruising the beach boulevards of Palm Beach or Monterey. Regardless of where you see one, the 2008 Land Rover Range Rover Sport is a nice piece of design work. There are two Sport models: the base HSE and the Supercharged. The high degree of style continues inside where characteristically British woods, leathers, and wools (in the carpets) make for a pleasingly rich experience. However, the interior is rather snug, and inexpensive bits and pieces of trim seem to have snuck in the Range Rover Sport. In terms of differences between the 2008 Land Rover Range Rover Sport HSE and Supercharged, it's almost enough to say that everything that could be standard is standard on the top model. This includes real premium woods, genuine leather seats with heaters, a beverage cooler, an advanced navigation system, and much more. Controls take some getting used to, as there are multiple settings that prepare the Sport for all manner of on- or off-road driving. The suspension rises and lowers, programs for the electronically controlled throttle and brake system change--it's all very complex, and the pictographs on the controller's dial clue you in as to what setting to use for what conditions. You really don't need to understand all that is happening mechanically; you just need to know it works. Safety is approached dynamically and with traditional passive equipment. The HSE and Supercharged versions ride on a fully independent automatic load-leveling air suspension, with standard anti-lock disc brakes that include electronic brake force distribution and brake assist. Also included are stability control, Hill Descent Control, and an Active Roll Mitigation feature that helps to stabilize the vehicle during severe handling maneuvers. Airbags protect both rows of occupants. Crash data is not available on this model to date. The 2008 Land Rover Range Rover Sport goes about its business with a great deal of focus, thanks to its highly developed powertrain and chassis. The HSE uses a 4.4-liter V-8 that generates 300 horsepower and 315 pound-feet of torque. The Supercharged 4.2-liter version, meanwhile, generates 390 horsepower and 410 pound-feet of torque. This engine will take the vehicle to 60 mph in 7.2 seconds. 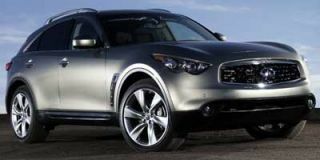 On the Supercharged, speed is dissipated by large Brembo-branded brakes that are necessary due to this SUV's velocity potential and weight. 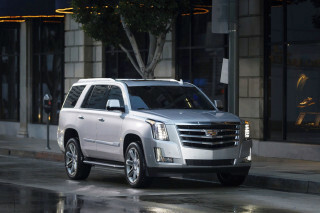 Surprisingly, this mid-size SUV weighs over 5,500 pounds, about the same as the significantly larger Cadillac Escalade. As one would expect from such a heavy vehicle, fuel economy is poor. Editors at TheCarConnection.com have most recently spent time in a 2008 Range Rover Sport Supercharged during a nasty Midwestern winter. The full-time four-wheel drive performed well in the snow and on dry pavement. The Sport knows how to hustle. Editors have also driven the Sport off-road, and it is very capable. One of the first things that strikes a driver is the Sport's expansive windows, which make for excellent visibility. Even under Ford's ownership, Land Rover vehicles aren't known for their quality. These are extremely complex vehicles, and their record of reliability as measured by any number of quality surveys is well below average. 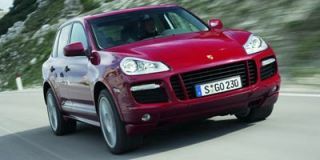 BMW's new X6 and the 2009 Infiniti FX 50 pose a dilemma for the Range Rover Sport, as these all-wheel-drive competitors focus on road performance, which is what so many buyers are seeking. Not many buyers need to traverse mud bogs on the way to the country club. 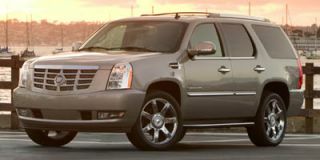 For those with buy-American sentiments, the Cadillac Escalade is a larger alternative to the 2008 Land Rover Range Rover Sport. The Escalade offers more interior room than the Sport, and the 6.2-liter V-8 in the Cadillac helps the Escalade keep up with the Land Rover, even when equipped with the supercharged engine. You’ll experience the design heritage up close with the 2008 Land Rover Range Rover Sport, but make sure to order the wood trim inside for the full treatment. The 2008 Land Rover Range Rover Sport manages to retain its genetic good looks outside, but its interior is less perfect. The 2008 Land Rover Range Rover Sport cuts a mean profile with its chiseled shape and tall greenhouse (the windows). The shape recalls classic Range Rovers that came along well before the Sport's 2006 introduction, all with elegantly thin roof pillars and a purposeful presence that looked like it was ready to tackle forest trails or desert sands. Cars.com provides an excellent description: It “features an upright grille that's flanked by standard high-intensity-discharge headlights. Other design features include a downward-sloping roofline, side vents in the front fenders, rocker panel moldings and standard 19-inch alloy wheels with low-profile tires." Kelley Blue Book goes into more detail: It “manages to combine Range Rover's familiar cubist styling with a raked windscreen and a tapered roofline that makes the vehicle appear as if it is moving quickly, even when at rest." Edmunds reviewers are rather enamored of the Range Rover Sport profile as well: "Overall, it is an enjoyable and luxurious vehicle to drive as well as look at." The high degree of style continues inside, where characteristically British woods, leathers, and wools (in the carpets) make for a pleasingly rich experience. However, the interior is rather snug, and inexpensive bits and pieces of trim seem to have snuck in the Range Rover Sport. Cars.com notes that the 2008 Land Rover Range Rover Sport interior "is trimmed with simulated metal pieces, but real wood trim is also available." Kelley Blue Book reports "the gauge lettering is small and difficult to read, and the black-lettered LCD readouts practically disappear when viewed through polarized lenses." ConsumerGuide suggests that "a larger typeface would enhance the legibility of the gauges" of the Land Rover Range Rover Sport 2008 and contends that "climate dials are big and obvious, but effort is required to sort out the multitude of other buttons and knobs," and "setting Terrain Response, hill-descent control, and other off-road gear puzzles the uninitiated." The 2008 Land Rover Range Rover Sport’s handling is nearly as shocking as its fuel economy. The 2008 Land Rover Range Rover Sport goes about its business with a great deal of focus, thanks to its highly developed powertrain and chassis. Cars.com reports "two engines are offered...Land Rover Range Rover Sport 2008 HSE models use a 300-horsepower, 4.4-liter V-8 that makes 315 pounds-feet of torque, and Supercharged versions have a 390-hp, supercharged 4.2-liter V-8 that develops 410 pounds-feet of torque." This engine will take the vehicle to 60 mph in 7.2 seconds, according to Land Rover estimates. Not all sources consider the Range Rover Sport’s engines impressive, however; AutoWeek notes the 2008 Land Rover Range Rover Sport "can carry just about anything short of a Chevy Suburban-load...[but] power isn't what it needs to be to carry the vehicle with a load of adults and gear down the highway." Cars.com states "the Land Rover 2008 HSE's acceleration can only be described as adequate, and the engine works hard to propel this portly SUV." On the other hand, ConsumerGuide proclaims "the Supercharged model is impressively strong." Kelley Blue Book adds "the supercharger is most appreciated when passing at high speeds and scooting across bustling intersections." About the transmission, Cars.com reports "both engines drive a six-speed automatic transmission with a clutchless-manual mode that sends power to each wheel through a permanent four-wheel-drive system." AutoWeek says "it kicks down way too much to maintain highway speed, but maybe that was the fuel-saving sixth gear talking." At an EPA-estimated average of 14 mpg, it's uncertain how much good a "fuel-saving sixth gear" can really be, however. Car and Driver turns in even worse figures, averaging a mere 12 mpg. The culprit is weight; this mid-size SUV weighs more than 5,500 pounds, about the same as the significantly larger Cadillac Escalade. A complex four-wheel-drive system with various settings and modes—and features like Hill Descent Control—is standard. Controls take some getting used to, as there are multiple settings that prepare the Sport for all manner of on- or off-road driving. The suspension rises and lowers, while programs for the electronically controlled throttle and brake system change. It's all very complex, and the pictographs on the controller's dial clue you in as to what setting to use for what conditions. You really don't need to understand all that is happening mechanically; you just need to know it works. On the Supercharged, speed is dissipated by large Brembo-branded brakes that are necessary due to this SUV's velocity potential and weight. Car and Driver is impressed by the brakes even on the base model: "the shocking thing about the Range Rover Sport is how amazingly well it stops...our 5629-pound HSE test vehicle did the 70-to-0-mph deed in just 165 feet, which far outclasses everything in its SUV category." The 2008 Land Rover Range Rover Sport sports a cozy cabin trimmed with some high-quality materials, but noise and plastics are an issue in this very expensive vehicle. The 2008 Land Rover Range Rover Sport is lavishly trimmed, but interior room is a little snug. 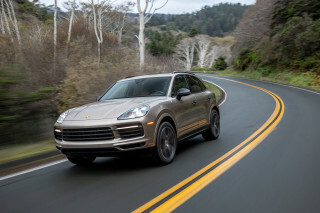 This is the conclusion that most reviews seen by TheCarConnection.com have reached. Cars.com reports that the Land Rover Range Rover Sport 2008 has a "five-person interior"; ConsumerGuide says that "head clearance is adequate, but larger passengers lack wiggle room in the footwell, which is pinched by a wide center console and the low dashboard housing." Although the 2008 Land Rover Range Rover Sport's "shortened wheelbase means slightly less passenger and cargo capacity," Kelley Blue Book remarks "snug but comfortable seating offers good thigh support in the front bucket seats and roomy rear seat." Unfortunately, the Land Rover Range Rover Sport 2008 isn't especially child-friendly; according to Mother Proof, "the Rover couldn't handle...kids' booster seats." Storage and cargo space appears adequate; Cars.com reports "interior cargo room measures 33.8 cubic feet but grows to 71 cubic feet when the 65/35-split rear bench seat is folded." ConsumerGuide notes "the two-step rear-seat folding process creates a relatively long and flat load floor," while a "double-tier glovebox and multiple console bins contribute to good small-item storage space." Materials and assembly seem decent, but "electronics also are a bit nervous--the touch screen combined with the hard-button interface doesn't do anything quite completely or easily," according to AutoWeek. Consumer Guide remarks "richly padded cabin surfaces are abundant, but some materials disappoint for the price and the metal-look trim should be aluminum, not painted plastic." They also note that one of their test vehicles "suffered from myriad squeaks and a small leak from the sunroof after a heavy rainfall." ConsumerGuide also says that the Land Rover Range Rover Sport 2008 "doesn't suppress wind and road noise at highway speeds as well as its premium midsize rivals...around town, though, it fares better," while "the supercharger whines in fast acceleration, but it never annoys." 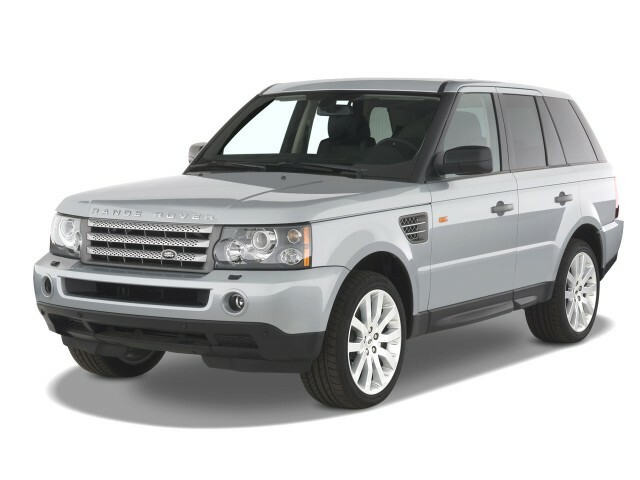 The 2008 Land Rover Range Rover Sport has extensive safety features, but it hasn’t been crash-tested yet. 2008 Land Rover Range Rover Sport's safety features or capabilities. At the time of this writing, neither the National Highway Traffic Safety Administration (NHTSA) nor the Insurance Institute for Highway Safety (IIHS) had conducted crash tests on the Land Rover Range Rover Sport. Cars.com reports that standard safety features "include antilock brakes, side-impact airbags for the front seats, side curtain airbags, an electronic stability system with rollover mitigation technology, and front and rear parking sensors." In addition, the "rear seats have child-safety seat anchors." Supercharged 2008 Land Rover Range Rover Sport models "can be equipped with adaptive cruise control that maintains a preset distance between the Range Rover Sport and a vehicle in front of it." Cars.com notes "large windows and high seating position give the driver a commanding view of the road," but "the large 2008 Land Rover Range Rover Sport C-pillars, however, limit visibility." The 2008 Land Rover Range Rover Sport has a lengthy list of features and options, but it lacks a few items common on less expensive vehicles. 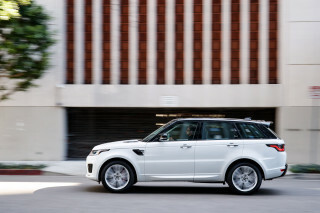 Here again, TheCarConnection.com notes a plethora of standard features that almost make 2008 Land Rover Range Rover Sport options superfluous. Cars.com notes "for 2008, the Range Rover Sport gets more power equipment. It now has power-folding side mirrors, an eight-way power passenger seat and a power tilt/telescoping steering wheel." Kelley Blue Book reports that the Land Rover Range Rover Sport 2008 HSE trim is "equipped with a naturally-aspirated 4.4-liter V8, six-speed ZF automatic transmission with CommandShift manual-shift mode, electronic air suspension, 19-inch alloy wheels, Dynamic Stability Control (DSC), Hill Descent Control (HDC), Terrain Response four-wheel-drive system, traction control, front side-impact airbags, side-curtain airbags, bi-xenon headlamps, fog lamps, eight-way power driver's seat, dual-zone automatic climate control, park distance control, Bluetooth phone integration, harman/kardon LOGIC 7 stereo with six-disc MP3/CD audio and 14 speakers and DVD GPS navigation with voice recognition and seven-inch LCD view screen." Moving on to Land Rover Range Rover Sport options, Kelley Blue Book reports that "Land Rover 2008 options include a Cold Climate Package (HSE), rear-seat entertainment package with two headrest-mounted LCD monitors, adaptive headlamps, adaptive cruise control (on the Supercharged trim level), SIRIUS Satellite Radio, locking rear differential, Dynamic Response suspension and 20-inch alloy wheels (HSE)." Mother Proof is not so much impressed in what the Range Rover Sport has to offer in terms of options as disappointed in what is absent: "there's no backup camera, no power liftgate...and there's no auxiliary jack for an MP3 player." This source also complains that although the front console has "a nifty cooler box," it "wasn't useful on a day-to-day basis."